SAN JOSE, Calif., March 20, 2019 — Liqid, a leading provider of composable infrastructure solutions and services, has announced that its adaptive composable infrastructure platform supports all of the latest NVIDIA GPU solutions, including the NVIDIA T4, NVIDIA V100 Tensor Cores and NVIDIA Quadro RTX GPUs. In addition, Liqid introduced a 20-GPU chassis designed for the scaling and orchestration of NVIDIA GPUs at volumes impossible in comparably priced systems. The company will demonstrate these solutions at the GPU Technology Conference (GTC), booth #331, taking place March 18-21 at the McEnery Convention Center in San Jose. Liqid delivers the most comprehensive composable infrastructure platform for GPU in the marketplace, including support for FPGA, Intel Optane memory extensions, NIC, CPU, and SSD. 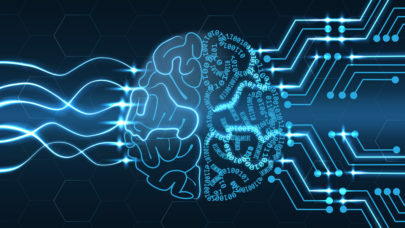 Liqid solutions are ideal for driving advancements in artificial intelligence (AI) and machine learning, accelerated data science, autonomous vehicles and logistics, high-performance computing (HPC), cloud environments, government installations and other high-value applications. Liqid is a global leader in software-defined composable infrastructure. The Liqid Composable platform empowers users to manage, scale, and configure physical, bare-metal server systems in seconds and then reallocate core data center devices on-demand as workflows and business needs evolve. Liqid Command Center software enables users to dynamically right-size their IT resources on-the-fly.